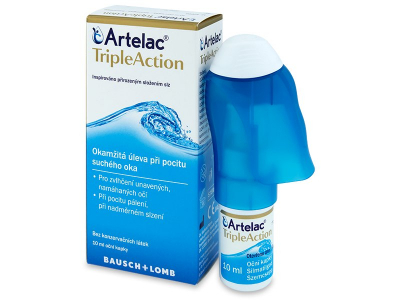 Those suffering from dry eye syndrome will appreciate these moisturising eye drops produced by Bausch and Lomb. The drops act quickly to provide long-lasting relief from itching, burning, fatigue, and other discomfort. Sodium hyaluronate is a naturally occurring moisturising substance found in the human eye and other tissues. Because Artelac TripleAction drops contain 0,24% sodium hyaluronate, their composition is notably similar to the natural eye environment, and thus they are well tolerated by most users. 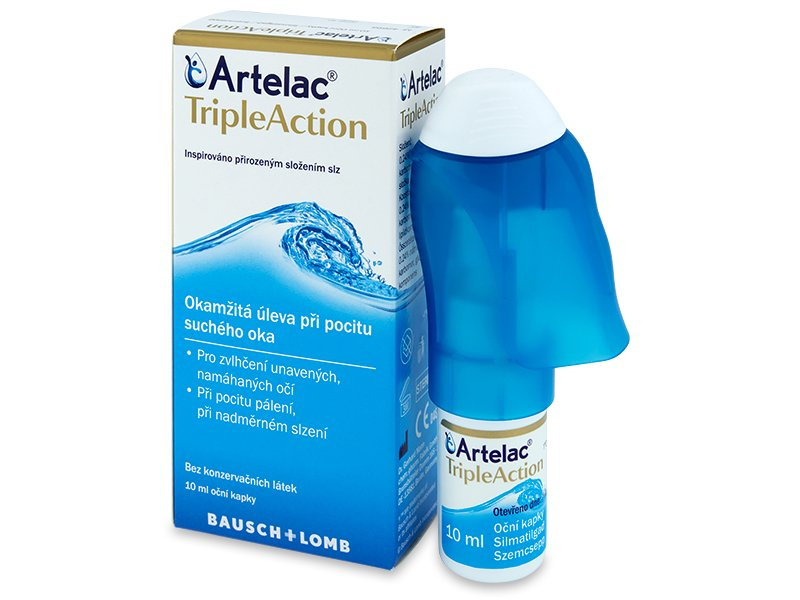 The naturally occurring ingredients in Artelac TripleAction are very gentle, so they’re even suitable for sensitive eyes. The formula is free from preservatives, and the innovative design of the dropper bottle makes application easy. Dosage: The drops can be used as needed. At the first sign of discomfort or irritation, apply one drop to the affected eye. NB: Because the drops do not contain preservatives, it is necessary to consume or discard the bottle within 3 months of first opening. Irritation can be caused by a genetic predisposition, as well as allergies or diagnosed dry-eye syndrome. However, there are many others external influences that can also irritate delicate eyes. Exposure to blue light from mobile phones, computers, and television screens is a common cause of dryness, as the eye blinks less often when focusing on these screens. Eyes can also become dry in heated or air-conditioned rooms, or by exposure to dust, wind, or smoke.